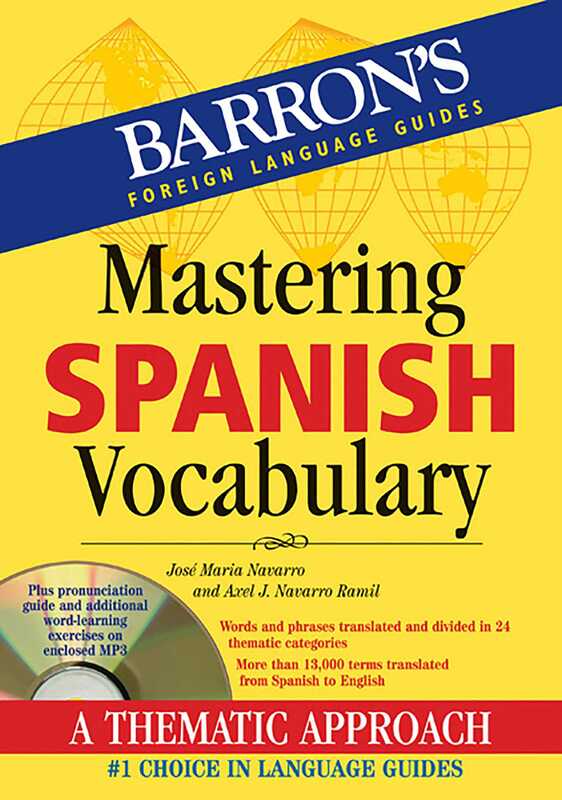 This Spanish vocabulary-building book presents more than 13,000 entries. It also includes an enclosed audio MP3, which coaches language students in correct pronunciation of Spanish and contains approximately 10 hours of audio, which covers virtually all of the book. All vocabulary in this book is categorized under different themes. Each theme groups together many different words relating to similar topics, which helps students of Spanish and travelers to Spanish-speaking countries conveniently find words that are related by subject. Among each book's 24 separate subject themes are: business terms, medical terms, household terms, scientific words and phrases, units of measurement, clothing, food and dining, transportation, art and culture, and others.